On the great collective wishlist for Easier VR, two things tend to emerge as frontrunners: wirelessness and inside-out tracking.1 The first undoes your headset's umbilical dependence on a computer or game console; the second puts an end to the cable-routing, wall-drilling tango familiar to anyone who has set up external trackers. HTC, which makes the Vive line of virtual-reality headsets, knows both of these needs well. It began selling a wireless adapter for its Vive and Vive Pro models last year, as well as a standalone device, the Vive Focus, which allows for full "6-degree of freedom" immersion. As with most first drafts, both of those efforts left something to be desired. The adapter cost $299—no small fee for a headset that was already $499 at minimum—and the Focus' immersion extended only to the headset itself, with your hand controllers trackable only rotationally. 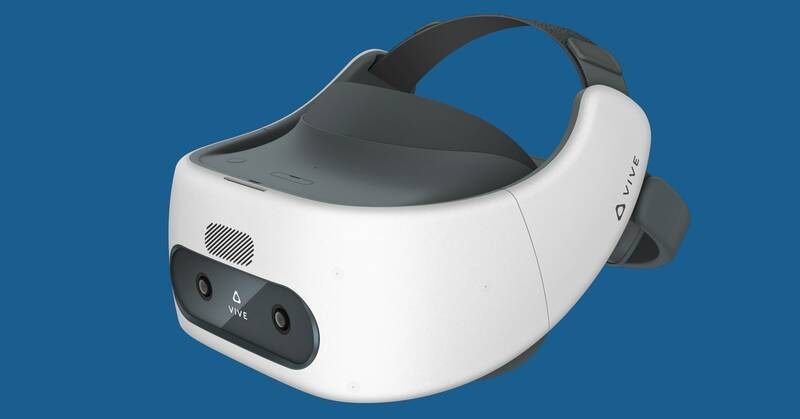 Now, with Mobile World Congress on the horizon, HTC has revealed yet another new headset, one that points more strongly than ever toward a world of Easier VR. The Focus Plus, a standalone sequel, extends full immersion to its hand controllers and adds eye tracking capabilities. Couple that with the wireless Cosmos headset, which the company announced at CES in January, and you'd be forgiven for hailing HTC as the savior of high-powered, easy-to-use consumer VR. Except that's not exactly what's happening.